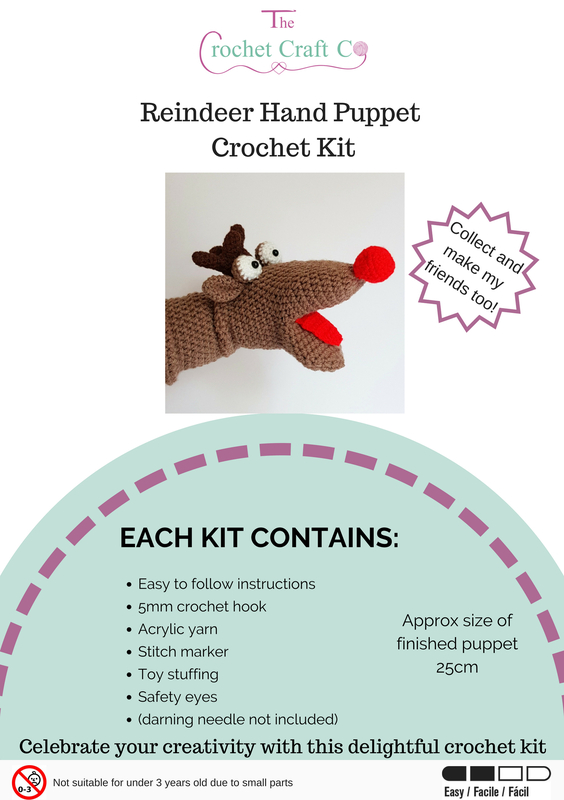 This crochet kit will help you create your own crochet reindeer hand puppet. Mr Reindeer’s character comes to life in your hands. He is big enough to fit little and large hands. A perfect festive gift! 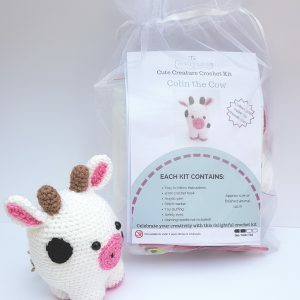 This is a perfect kit for beginners and the pattern is written in US terminology. 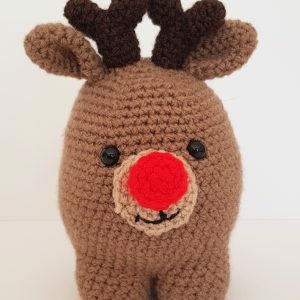 Mr Reindeer has lots more friends for you to collect and make to keep him company! 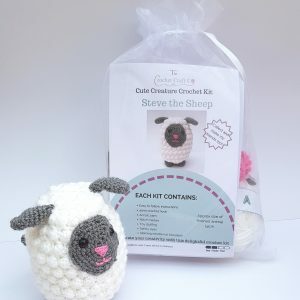 Discount can be applied for more than one kit. If you would like Mr Reindeer to be a different colour, it is not a problem at all, just let me know by sending me a message upon ordering the kit. 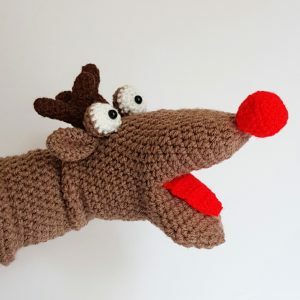 If you are looking for a ready made Mr Reindeer hand puppet, then have no fear – he can be found here.